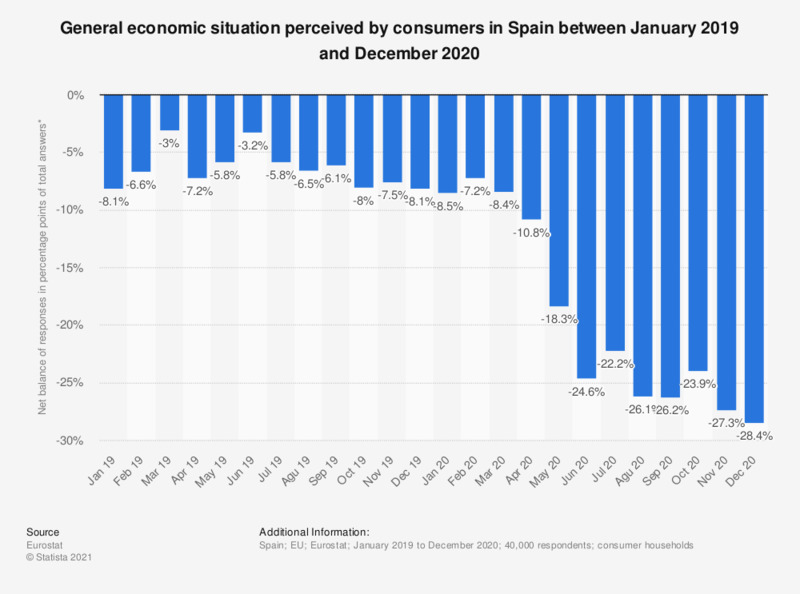 This statistic shows the perception of the general economic situation within Spain over the last twelve months from October 2017 to September 2018. The perception of the economic situation deteriorated in comparison to the previous month (net balance of responses amounted to -9.8 percentage points of total answers) as of September 2018. In which season are you most likely to purchase iced tea (can/bottle)?